A former Ontario lieutenant-governor tasked with reviewing the disability legislation says the province is nowhere near meeting its stated goal of full accessibility by 2025. The accessibility law that took effect in Ontario 14 years ago and has served as a blueprint for similar legislation in other parts of Canada has fallen well short of its goals and continues to leave disabled residents facing daily, "soul-crushing" barriers, a former lieutenant governor has found. 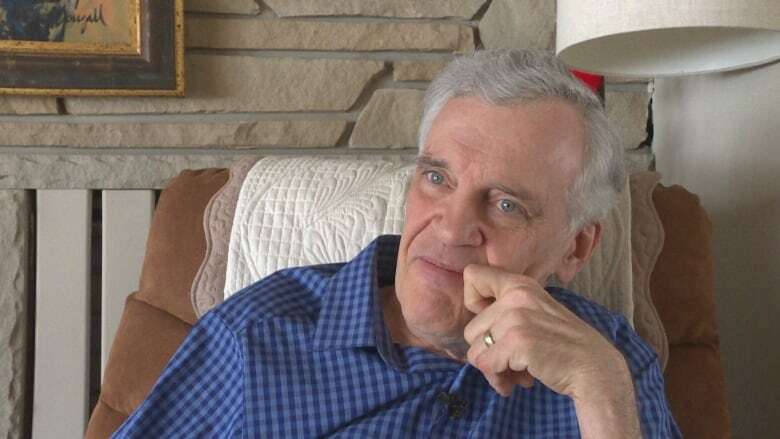 David Onley, a wheelchair user tasked with reviewing the implementation of Ontario's Accessibility for Ontarians with Disabilities Act, delivered a withering indictment of nearly all aspects of the law in a report quietly tabled in the provincial legislature this week. The scathing report said disabled residents are barred from full inclusion in the province at nearly every turn, likening some of the barriers they face to long-abolished Jim Crow laws that perpetuated racial discrimination in the United States. He said Ontario is nowhere near realizing the goal at the heart of the act, which promises to make the province fully accessible by 2025. He said only urgent, wide-ranging action from the provincial government can put a stop to the ongoing cycle of human rights violations. "This is a matter of civil rights, and people with disabilities are being discriminated against on a daily basis in multiple ways," Onley said in a telephone interview. "We don't like to use the word discrimination because it gets tossed around, but what other word describes the situation? It is discrimination." Onley said the most obvious manifestations of that discrimination can be found throughout Ontario's public and private buildings, many of which have physical features that actively shut people out. Onley — Ontario's first disabled lieutenant governor — said some personal examples include restaurants featuring automatic doors atop a flight of stairs or hotels with accessible washrooms but beds too high for him to climb into from his motorized scooter. "For a person using a wheelchair, stairs are like a sign that says you can't enter here. The same goes for a deaf student in a classroom without captioning or a blind woman trying to find her way in a building without accurate Braille signage," he said in the opening chapter of his report. "The message is: you don't belong here." Onley said design barriers are no different than "the signs of a bygone era in foreign countries, telling people which water fountains they could or could not use and which restaurants or buses they could or could not use." While Onley identified built environment barriers as one of the most pressing concerns, he listed a host of other problems with the law he said the government has failed to properly address since it took effect in 2005. Other issues included lack of enforcement, accessibility rules that are slow to be developed and even slower to be implemented, and information-technology standards that are already out of date although they haven't been fully applied. Some of the issues are even more fundamental, he said, citing the fact that the law does not currently define "accessibility" and leaves people across the province to come up with their own interpretations. Even the definition of "disability" is problematic, he said, saying AODA's current language positions disability as a medical issue rather than one of social exclusion. Clarifying those key terms is among the 15 broad recommendations Onley provided to the current Progressive Conservative government, who had frozen work by committees tasked with developing accessibility standards since taking power last June. Others involve the government radically changing its approach. Onley urged Premier Doug Ford to lead the way in making accessibility a priority across all ministries, not just the one ostensibly handling the file. He also urged the government to redesign the provincial education curriculum to make accessibility a focus starting as early as kindergarten and extending through the post-secondary years. He likened the efforts he wants to see with past campaigns that brought public smoking and environmental protection to greater public prominence. Onley singled out architects as a particular target of educational efforts, noting trainees in the field learn next to nothing about inclusive design. Other recommendations included offering tax breaks and other financial incentives to those improving accessibility in public buildings and private homes, significantly bolstering enforcement efforts, and lifting the freeze on developing new accessibility standards in areas like health care and education. The government said it acted on the last recommendation already and will be meeting with committee heads to get work back underway. Minister for Seniors and Accessibility Raymond Cho did not respond to Onley's other recommendations, but thanked him for the report. "We aim to modernize our approach to accessibility to make things easier for families, workers and businesses in today's Ontario," Cho said in a statement. Accessibility advocates lauded Onley's report, saying his "blistering" findings should be of particular concern to other Canadian jurisdictions. David Lepofsky, chair of advocacy group AODA Alliance, said Manitoba and Nova Scotia both put legislation in place that's weaker than Ontario's in many respects. The federal government, he said, is poised to follow suit unless the senate makes amendments to strengthen the proposed Accessible Canada Act, the first national accessibility law in Canada's history. "The thing that we've learned, that the Onley report shows, is that just doing what Ontario did has helped, but nowhere near as much as what we need," Lepofsky said. "(Other governments) need to learn from that and be better."